2nd Grade Math Video Tutorials Online, lessons on addition, geometry, numbers, patterns, subtraction, measurements, time etc. Addition of two numbers video lesson tutorial for kids. Learning addition with no regrouping math video for children.. Learn word problems involving addition, e.g. how a bird keeps adding eggs. Addition word exercises applied to daily life e.g. adding envelops & stamps. Addition of money lesson with an interactive online video for kids. Addition word problem involving sales of ticket sales, kids learn practically. Review math video lesson on adding coins in this case cents, nickle, dime, quarter. Watch how to sum up two numbers in this interactive lesson. Addition word problem involving people getting on a bus at a stop. Introduction to the concept of division video online for kids to practice. Finding fractions as part of a group lesson for 2nd graders online. Fractions as part of a whole circle, learn how to find fractions, video lesson. Counting in threes e.g. 3, 9, 12, 15 ..... math lesson for grade 1. 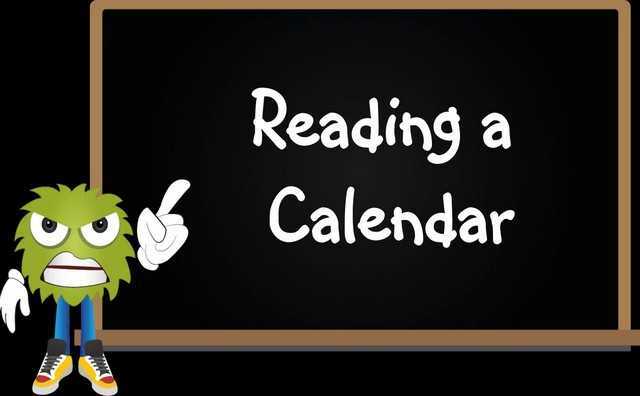 Learn how to read dates on a calendar math lesson for first graders online. Comparison of numbers math lesson, learn with signs <, >, =. Learn about even and odd numbers by watching, e.g. 6 is even, 11 is odd. Math lesson on Prime & Composite numbers e.g. why is a number prime ?. Recognizing Roman Numerals math video online for 2nd graders, watching & learn. Keep converting numbers; Roman Numerals to Arabic numbers is a fun exercise. Learn writing in Roman Numerals video tutorial for children online. Classification of objects and numbers math video, by color, shape, type etc. Growing patterns in math, video lesson to understand progressions. Location of points and objects in 3 by 3 Grid math lesson. Watch and practice alone. Learning by watching this new math vocabulary exercise. Learn all signs in math. Comparing the length of objects math lesson online, Short or Long, identify. Find the area of figures like squares & rectangles, length x width is an easy formula. Watch and learn common geometrical shapes in math, circle, square, triangle etc. Math lesson for first graders to learn finding the distance right round or perimeter. Learn to relate Planar (or flat shapes) to 3D Shapes in this interactive lesson. Is it a Congruent / non Congruent Figure video lesson on geometry for kids. Finding objects with symmetry math video online for kids, keep watching. Self paced math lesson on geometry, Open & Closed shapes, watch & learn. Coordinate Graphs teach us to locate points & objects in (x,y) axis. Do it by watching. Find trends with line plots with line plots on a graph, practice later with a worksheet. Plotting lines on a graph lesson, collect data from a bulls eye game. Obtaining information by understanding bar graphs math video lesson for extra review. Using pictures with graphs to represent information on graphs in a fun way. Find the probability that a dice rolled will land a 1, 2, 3, 4, 5 or 6. A self help. Counting scores of a volleyball game can easy with tally marks. Learn to use them. Statistics on Venn Diagrams lesson for kids to understand data representation. Metric systems, learn about temperatures with a thermometer. Start learning about money and buying toys, unit cost, getting a balance etc. The basic concept of multiplication can be learned with this easy to follow lesson. Introduction to basic multiplication of two small numbers math video. The rules for rounding up numbers to the nearest ten, thousand etc.lesson online. Practicing rounding numbers to the nearest ten e.g. 89 rounded is 90. Identifying repeating patterns lesson. Understand the principle of patterns. Lesson on finding similar patterns in a sequence of objects, e.g. ABC = HGT. Locating objects in space is also called spatial sense or awareness - left, right, up etc. Subtraction of numbers lesson for 2nd graders to watch and practice alone. Math lesson on subtraction of two big numbers with no regrouping involved. Lesson on teaching multi-step subtraction e.g. contains those with carrying. Practice Subtraction of two numbers with this video on Kids Math TV. Subtract of numbers, quick facts to refresh kids in grade 2 at home or school. Subtraction word problem involving taking away apples from a group. Lesson teaching kids on how time is elapsed after a particular time or minute. Review lesson for kids on telling time to exact hours e.g. 1:00, 2:00 etc. Time to the half hour, e.g. 2:30, 4:30. Apply reading time skills on similar worksheet. Time to the quarter hour video e.g. 12:15, 3:15 etc. Learn about 'a quarter past'. Application of time facts in daily life - time word problem, sleeping hours video on Kids Math TV.